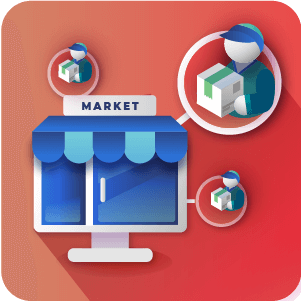 Store manager can approve vendors products, allow certain product types and assigning vendors to products. + $99 for one live + 2 test Magento® hosts. The Magento® 2 Supplier Product Inventory Management Extension by CreativeMinds allows approved suppliers to add and manage products on a front-end dashboard of your site. Absolutely not! Each supplier account has it’s own front end dashboard from which the supplier can upload and manage products. There is no need for the suppliers to log into the Magento admin dashboard at all. The built in notifications system will notify you whenever a new uploaded product requires moderation and approval and will also notify suppliers when their product has been approved, moderated or dismissed. Yes, customers can buy from multiple vendors in one single order. In this case, the shipping cost is calculated as the total sum of shipping costs from all vendors in the current cart. For example if you have three products in your cart, 2 from one vendor, and 1 from another vendor, total shipping costs will be the sum of shipping cost set up by one vendor for his products, plus the shipping cost set by the second vendor for his product. Yes. When products are ordered that belong to a vendor they can receive an email notification that they have orders waiting. This can be disabled or enabled by the vendor but the default setting is for it to be enabled globally. Yes. 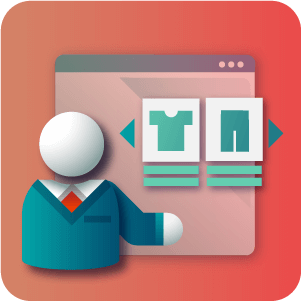 Suppliers are able to add and manage digital products on the store. 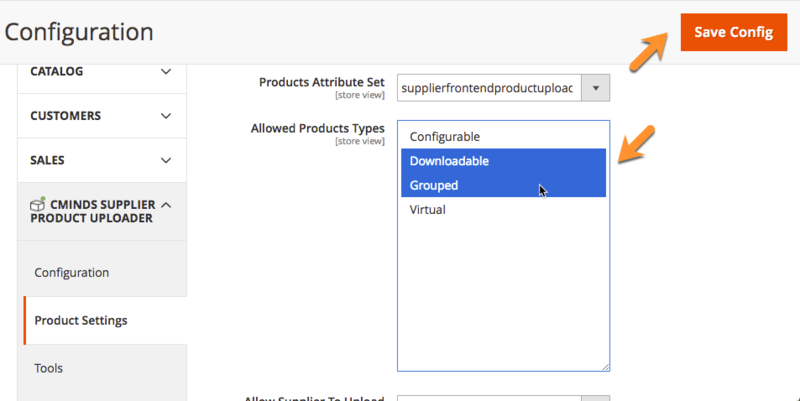 By default the extension allows only Simple products to be uploaded but other product types including Downloadable products can be Allowed through the Configuration settings. Suppliers can Upload any types of products you want to allow. Simple, Configurable, Virtual, Downloadable or Grouped. The kind of products that are available is set in the Configuration settings for the Extension. The issue for setting the visibility for the associated products is fixed. The issue related to visibility of the Product, depending if it is approved or disapproved, is fixed. The style fixes were added. The “Back Url” on the Customer Edit page from the admin side now works properly. The support for php7.2 was added. Customer can complete checkout even if no email sending program is installed on the server or website. 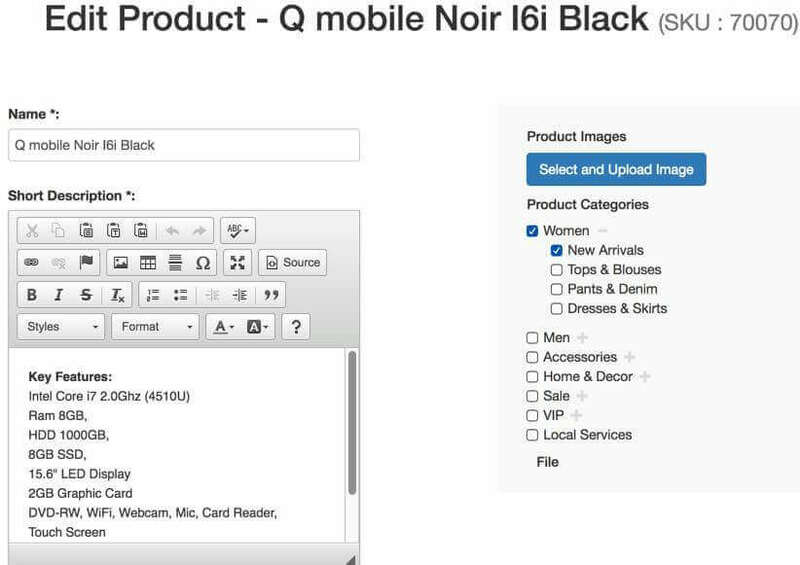 In Magento 2.1, supplier cannot create product if the product exceeds the limit for images. The button in the admin panel “Save and Continue Edit” on the supplier page redirects back to the edit page. Supplier products after creation / edition approved product flag is reset and set to pending if configurations says that supplier products require approval. Previously disapproved status was set what was misleading. Admin is able to see all supplier shipping methods, can also edit and delete them. 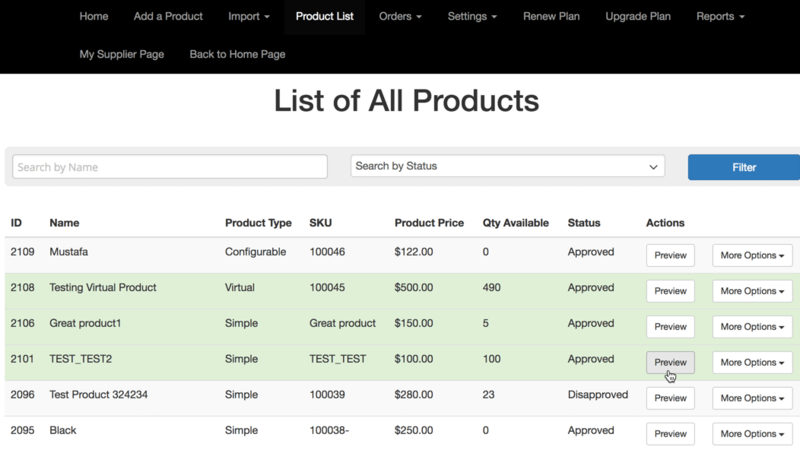 Configurable products management in vendor panel has been updated. WYSIWYG editor has been updated in product create/edit form in vendor panel. Sample product import file download in vendor panel has been updated. 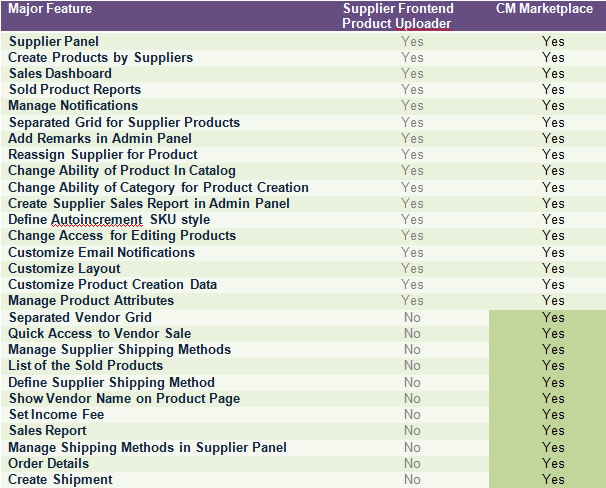 Vendor products association with website has been updated during product create/edit in vendor panel. Creating downloadable products in vendor panel has been fixed. Cloning ability for downloadable products in vendor panel has been fixed. 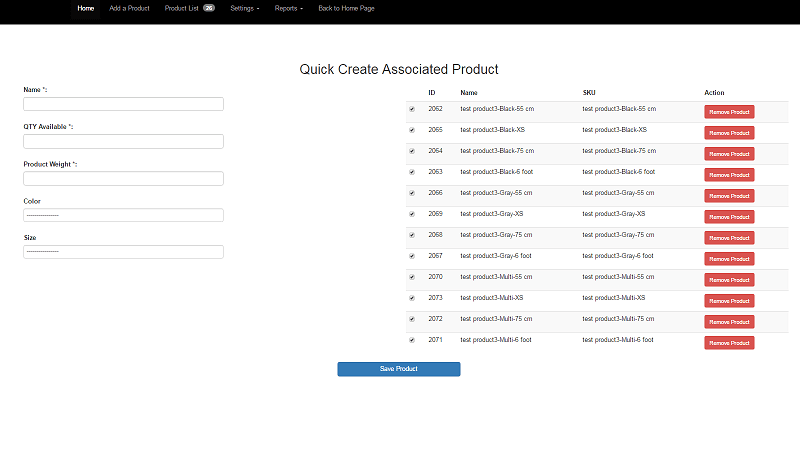 Products import functionality in vendor panel has been updated. Minor issues fixes and improvements. Product in vendor panel is being saved on default store. Fixed issue that in some circumstances special price equal to 0 was set. Fixed issue that in some circumstances special price date from equal to current day was set. Fixed issue that in some circumstances qty has been not properly saved. Many major issues fixes and improvements. Product created in vendor panel are saved only in admin scope, in others used are default values. Minor layout fixes in vendor panel. Single notification is being sent to each supplier about his ordered products after order place. Pagination in supplier product list view has been updated. 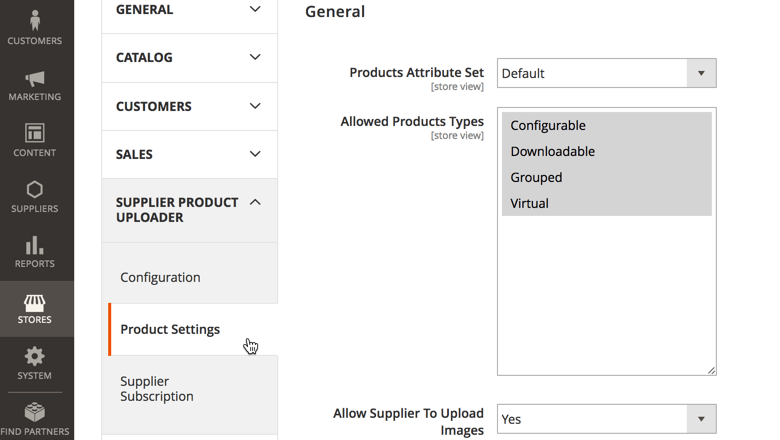 New tools section has been introduced in admin panel for supplier module, which currently adds ability to set all categories as available for suppliers by single click. Configurable products creation and edition process has been fixed in vendor plier panel. When no associated products exists proper information is displayed in associated products view in vendor panel. Removing associated products has been fixed in vendor panel. Sku generation for associated products has been fixed in vendor panel. Clicking on category label triggers checkbox check in vendor panel product edit/create view. Back button in supplier product edit admin view has been fixed, it is redirecting to supplier products grid. Supplier products grid columns naming has been updated. Filtration by supplier name has been fixed in supplier products grid in admin panel. Introduce new cache type for vendor panel. Vendor panel navigation is being cached. Filtering by status in vendor panel issue has been fixed. Displaying categories in cloned product edit view has been fixed. Supplier category restrictions has been fixed. Fixed compatibility with flat catalog category. Fixed compatibility with flat catalog product. 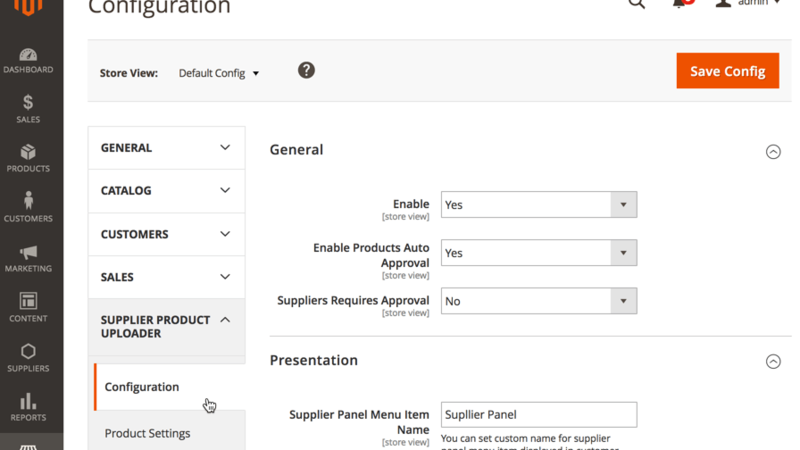 Displaying only allowed categories during product creation/edit in supplier panel has been fixed. Install and upgrade scripts update. Fix installer script issue on Magento 2.0.13. Fix which makes that supplier product statues and quantity are reflected properly in admin panel. Fixed issue with magento url key duplication during product approval. Fixed issue that product has been approved even if there was an error during approval process. Email templates has been updated, for example product name and product url has been added to supplier ordered and approved email template. Email subjects are now fetched from configuration. Supplier product grid performance improvement. Setting quantity for grouped products in supplier panel has been fixed. 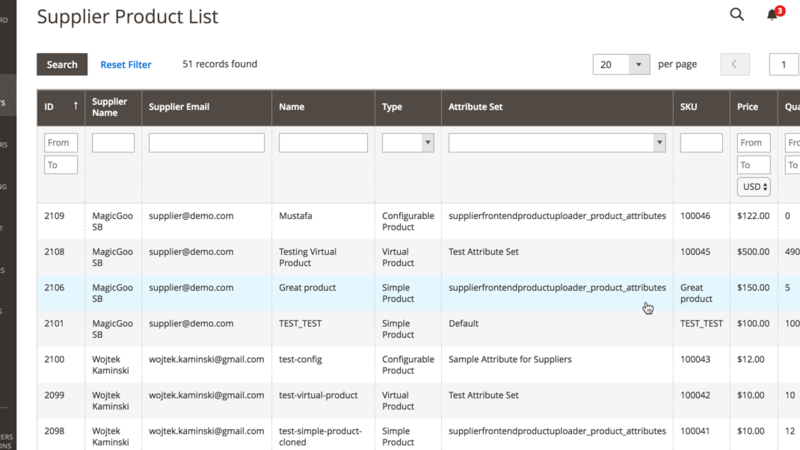 Supplier email and name columns has been added in supplier products grid in admin panel. Approval and disapprove functionality refactoring, it has been moved to separated service. New configuration option has been added, supplier product can require approval after being edited. Vendor panel navigation has been updated. 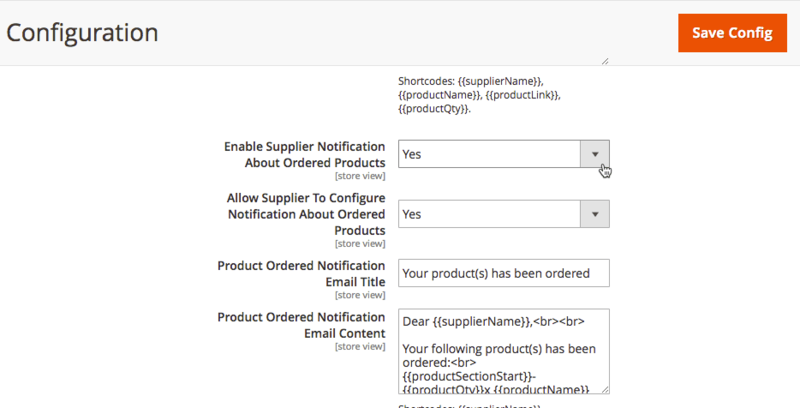 New configuration option to give ability for supplier to configure notification about ordered products. 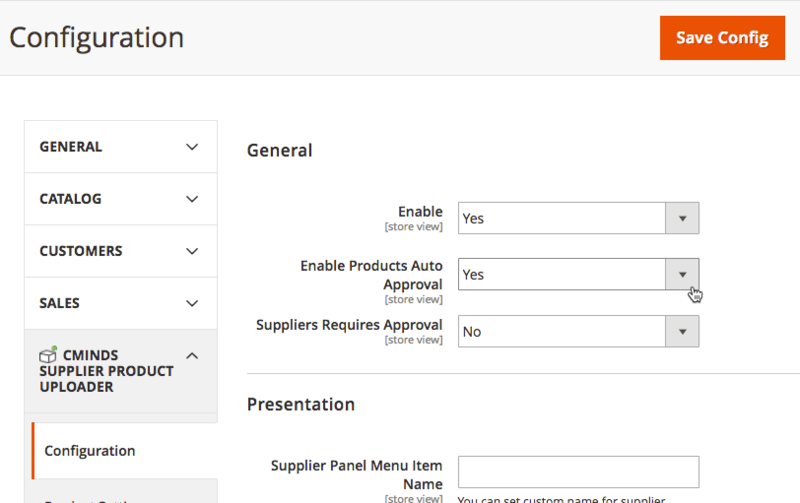 New validation rule has been added to supplier create/edit form to check if category has been selected. Fix issue when product has been not auto approved when auto approve functionality was enabled for configurable products in vendor panel. 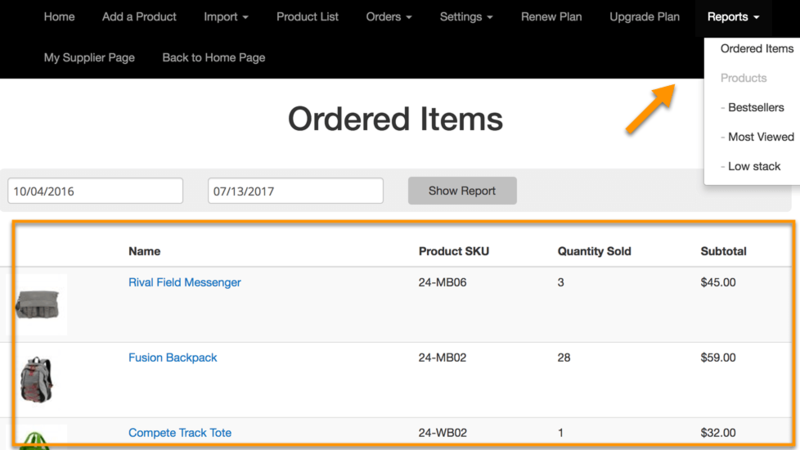 Fix issue with saving proper quantity value when auto approved functionality was disabled for grouped products in vendor panel. Fix issue with upload video. Fix issue with show product photos on edit product page. Fix issue with linking products to supplier during their creation. Fix issue during product cloning in vendor portal. Add feature to upload youtube video for products. Fix issue with attribute set on edit product page. Fix: Supplier shipping methods validate when supplier dont have shipping methods. Fix: Vendor portal issue – don’t show product name in order. Fix: download reports best sellers. 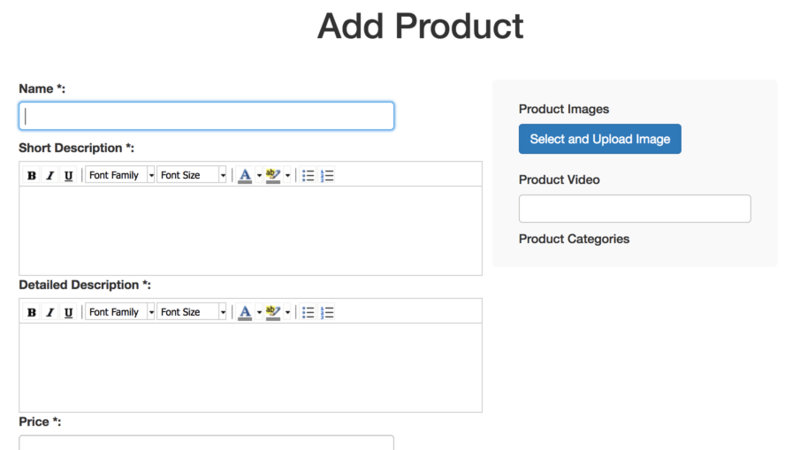 Add “in stock” for grouped products in create / update forms. Supplier now can upload logo. Refactoring and minor bugs fixes. 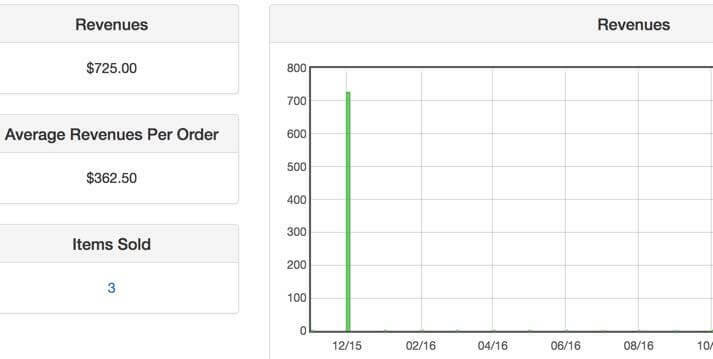 Supplier rate view fixes, performance updates, checking customer authorization. 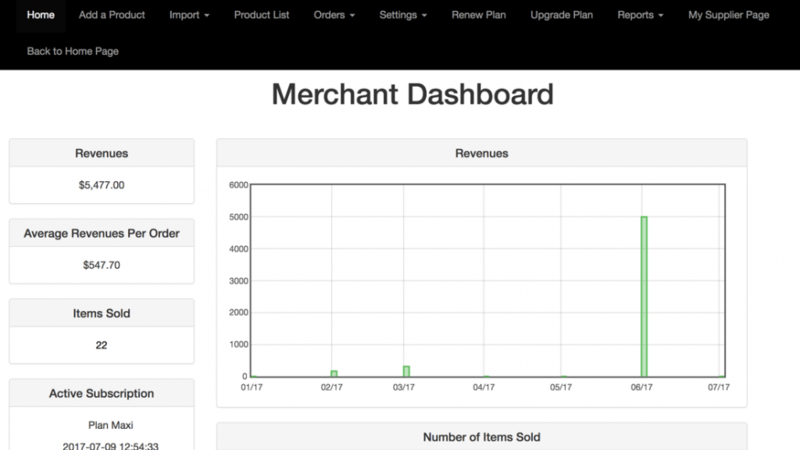 Supplier shipping methods display changes in checkout. Supplier shipping methods cost calculation fixes. Previously selected supplier shipping methods are restored during new order placing. 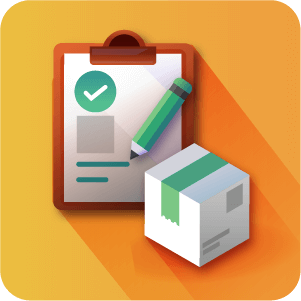 Validate if for each supplier shipping method is selected when supplier shipping method is selected before placing an order. Validate if sum of selected supplier shipping methods is correct before placing an order. 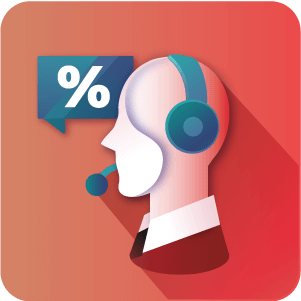 Suppliers can name their custom shipping methods. Supplier shipping methods are available in checkout cart shipping estimation. Supplier shipping methods are available in checkout process. Minor bugs fixes and code quality improvements.